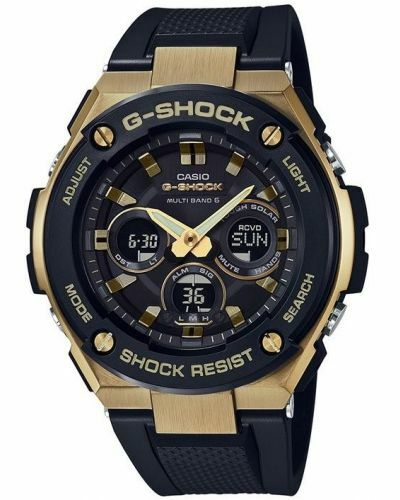 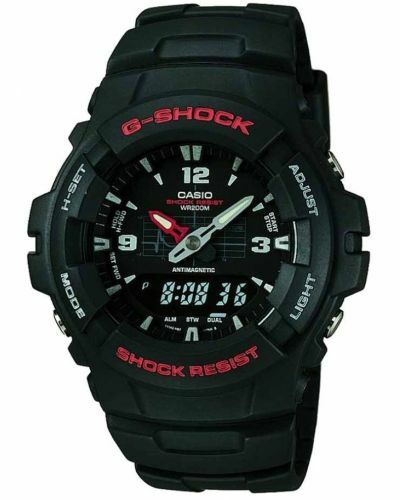 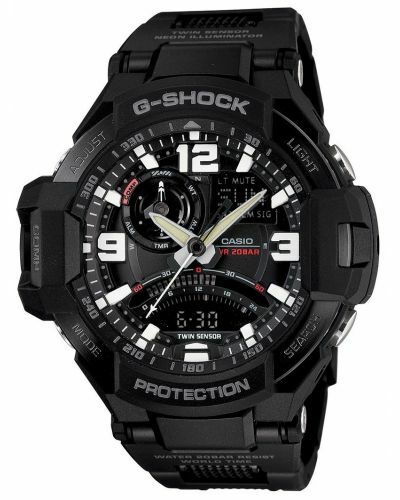 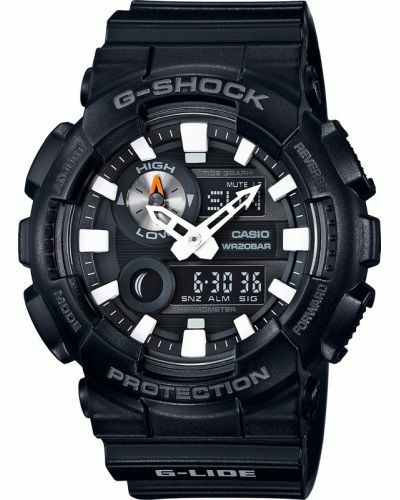 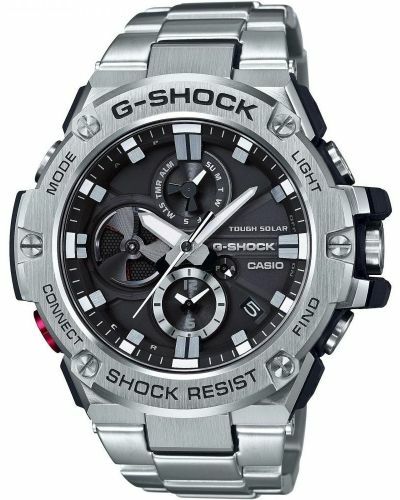 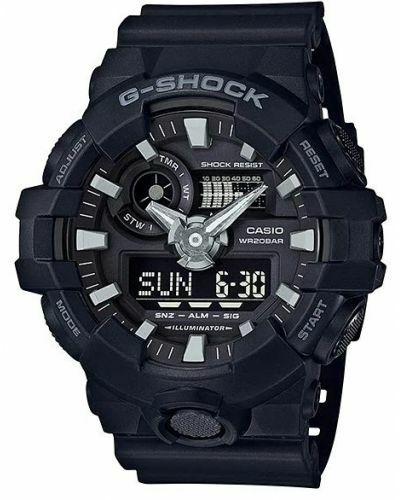 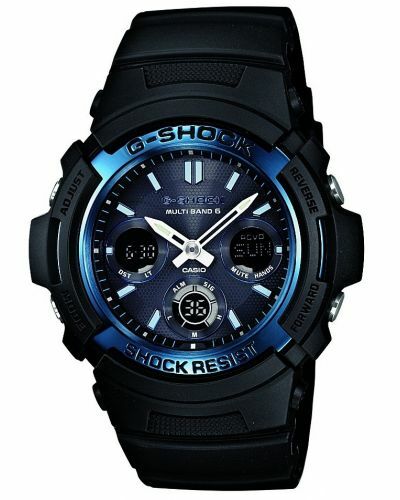 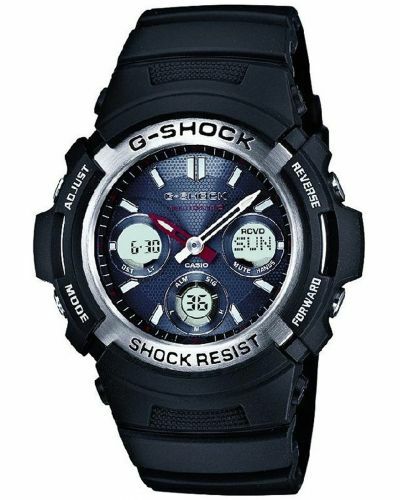 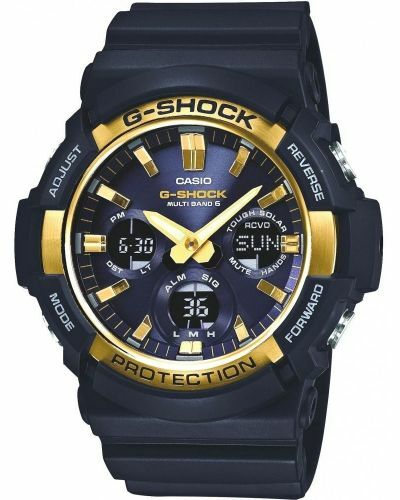 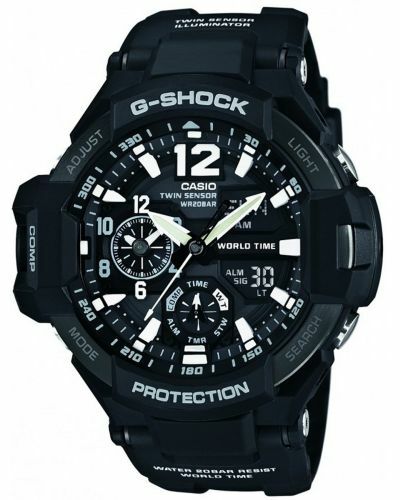 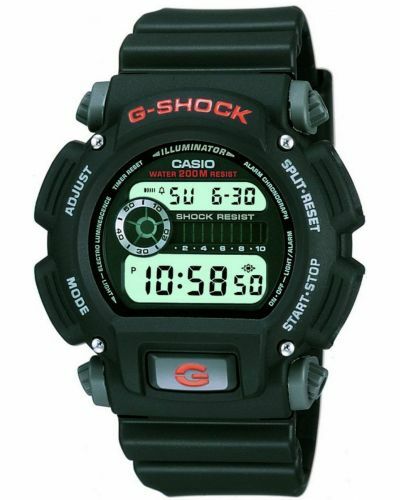 This robust watch is brought to you by Casio as part of their G-Shock collection and features an oversized 49.7mm black ion plated stainless steel case and bezel. 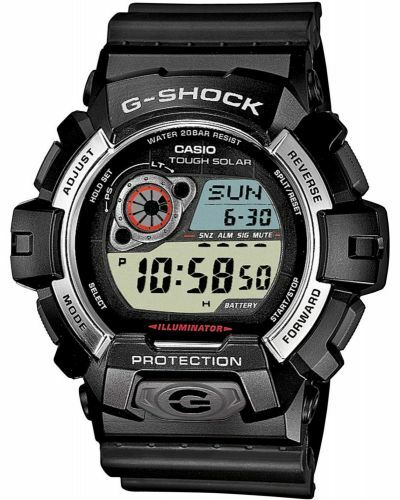 This LED watch can display the time in both 12 and 24 hour formats including world time in 5 different timezones and will illuminate once the ambient light becomes low. 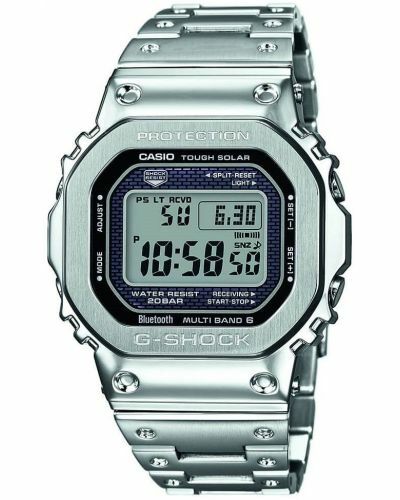 The digital display can be used to set 5 alarms, present a perpetual calendar and a chronograph/stopwatch display. 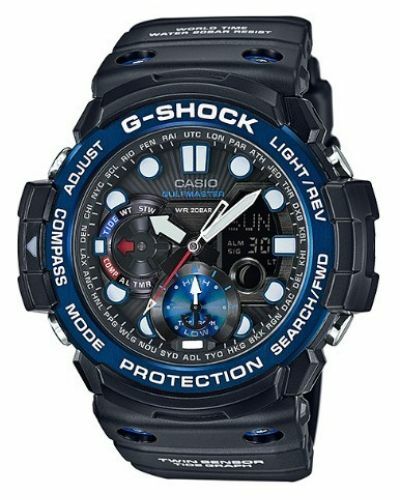 Set upon a durable rubber bracelet and fastened by a secure ion plated stainless steel buckle; GD-400MB-1ER is water resistant up to 200 meters and can be worn whilst scuba diving and swimming. 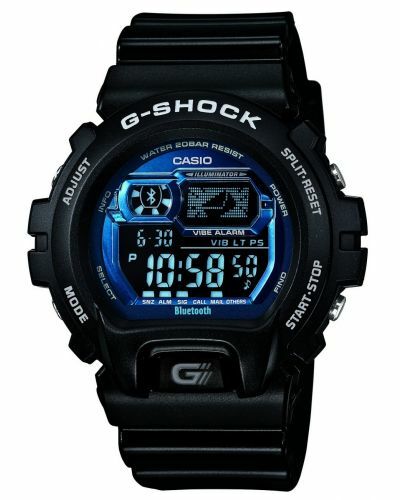 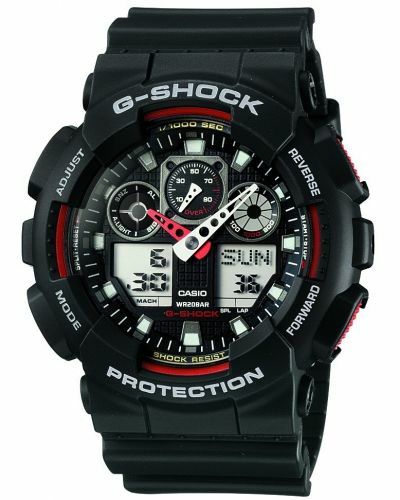 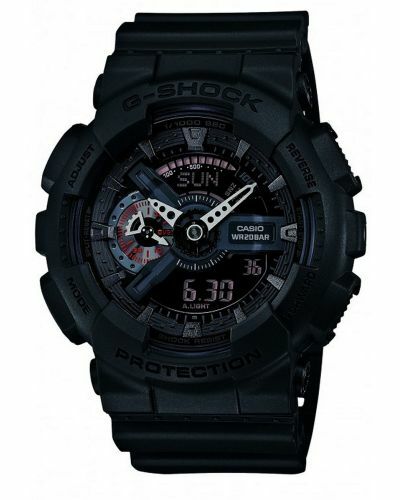 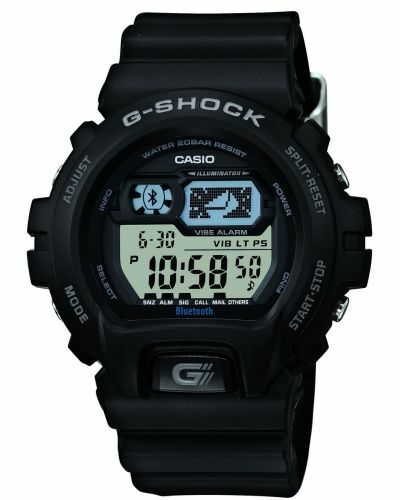 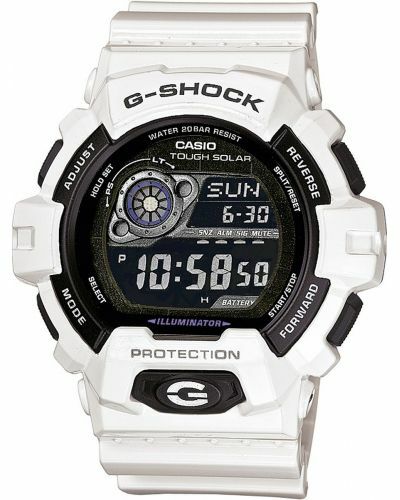 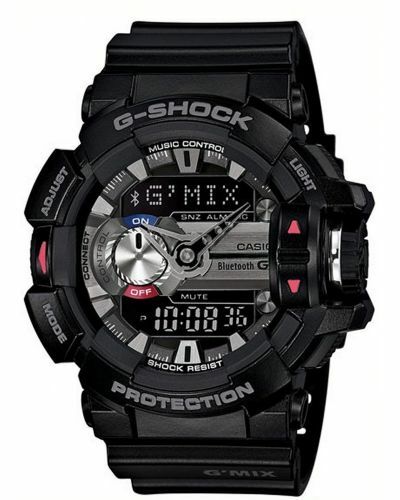 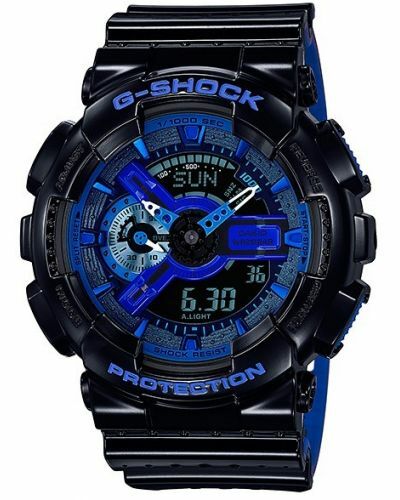 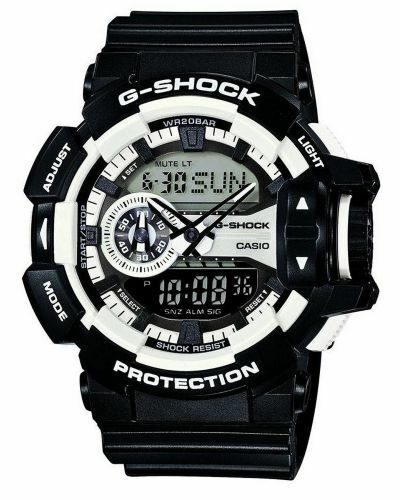 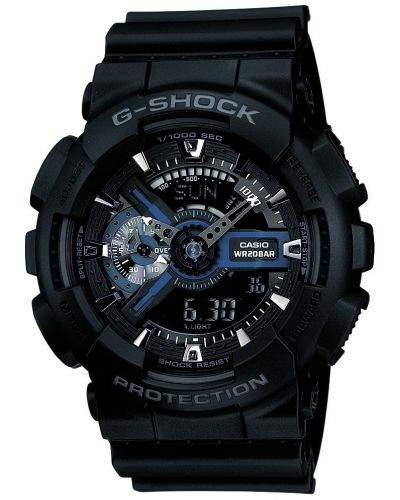 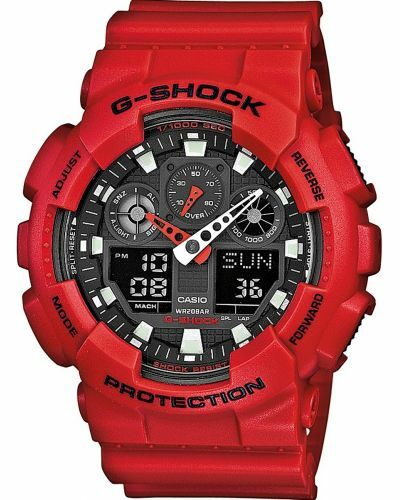 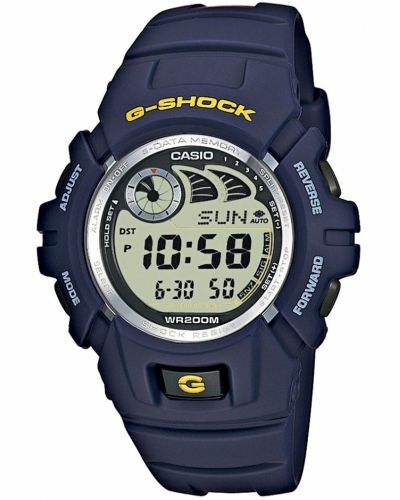 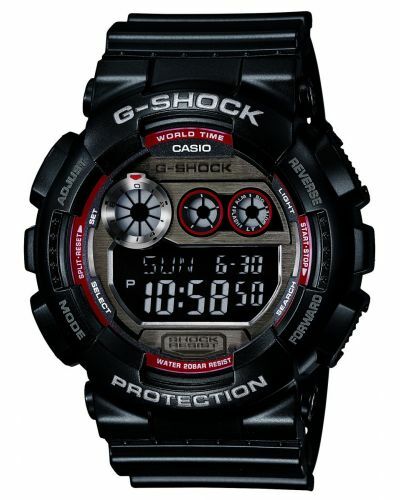 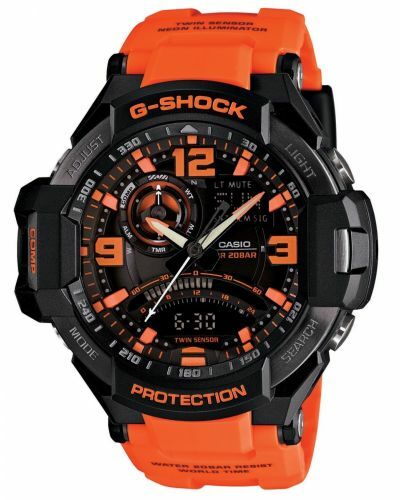 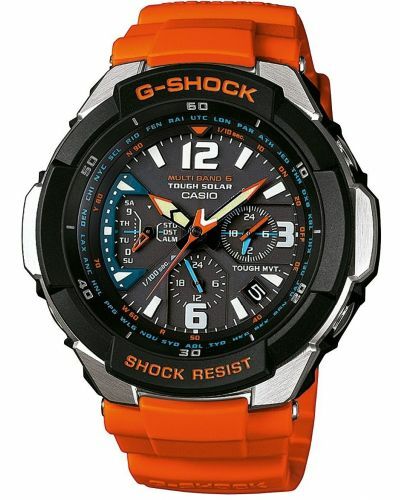 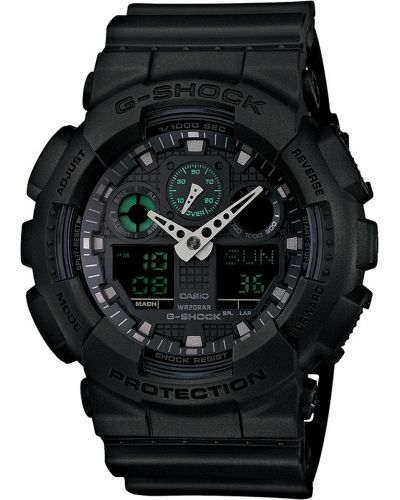 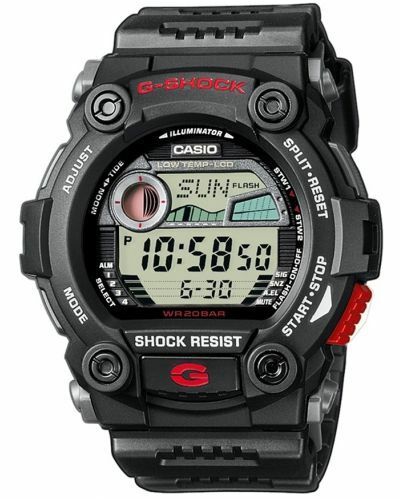 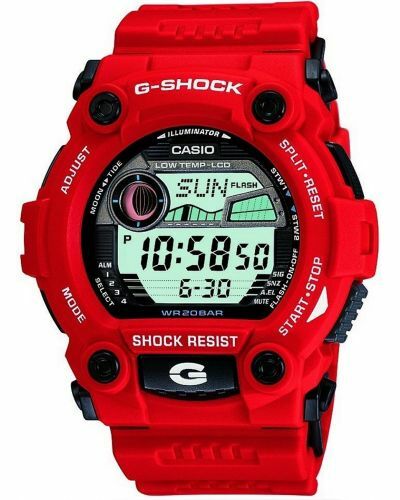 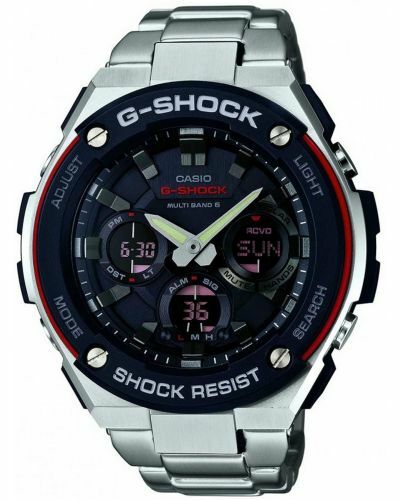 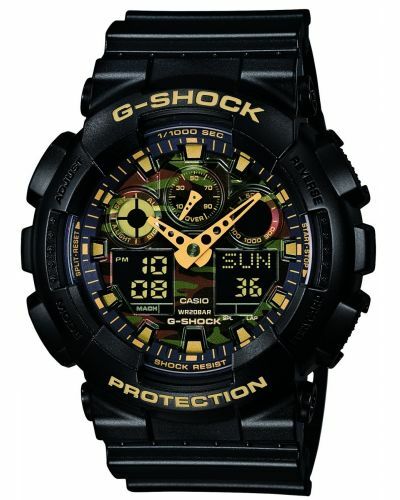 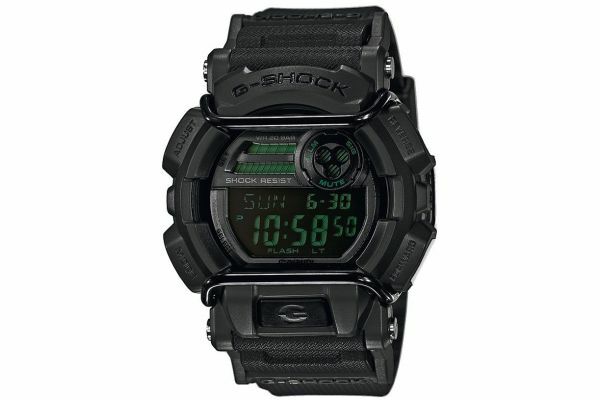 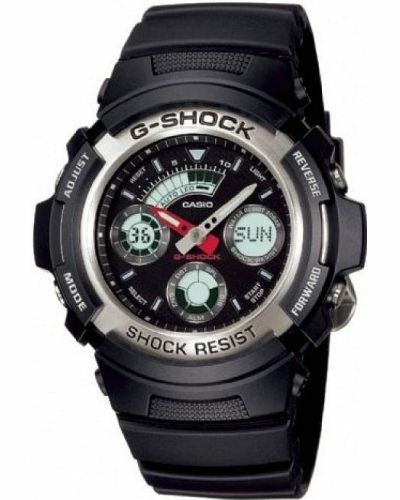 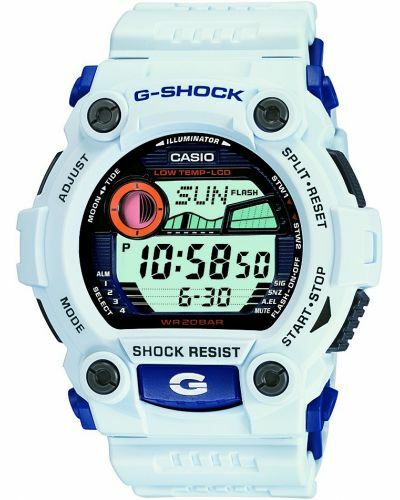 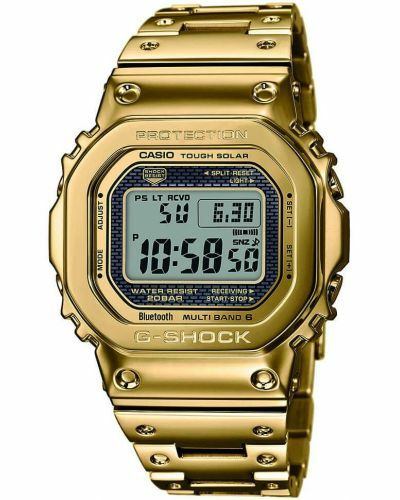 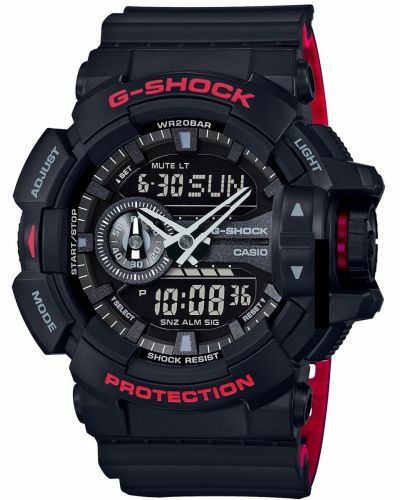 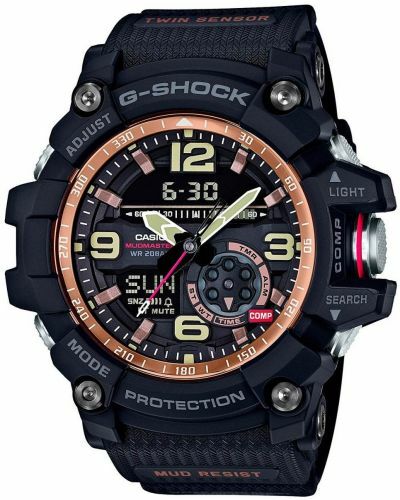 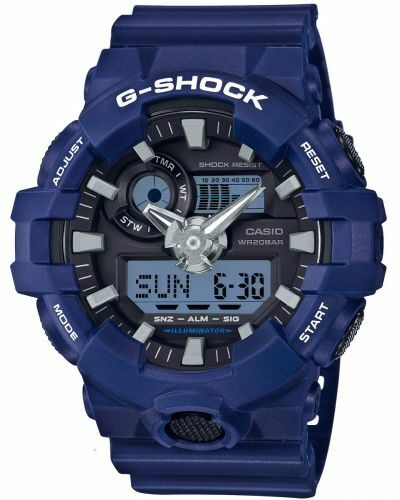 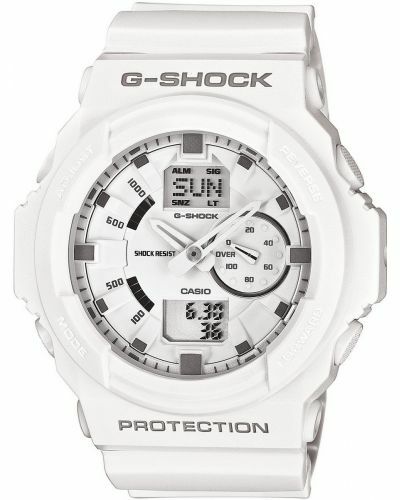 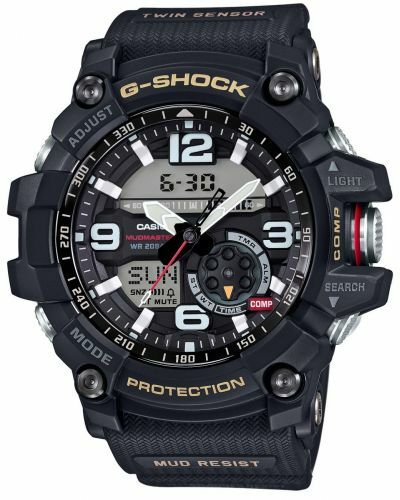 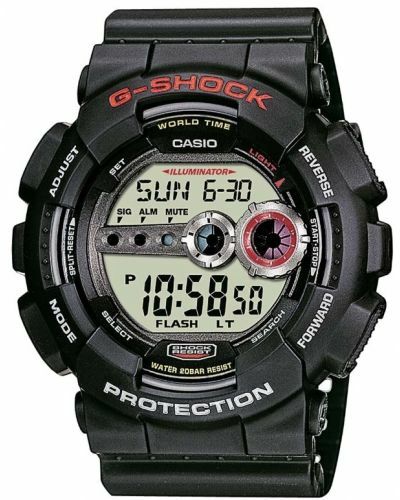 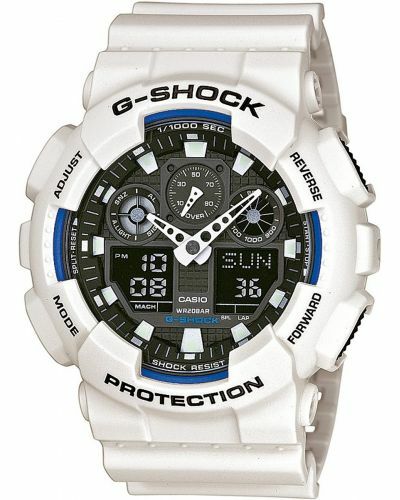 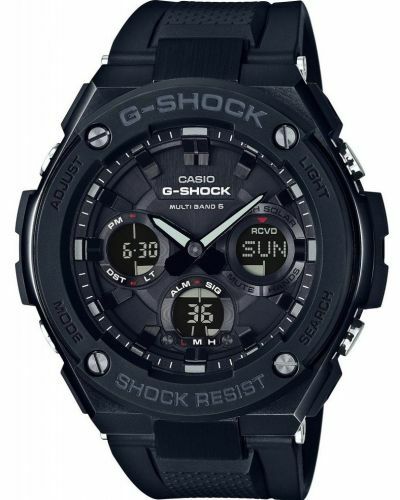 Powered by Quartz movement and protected by mineral glass, this G-Shock watch comes complete with a two year guarantee and official Casio packaging.